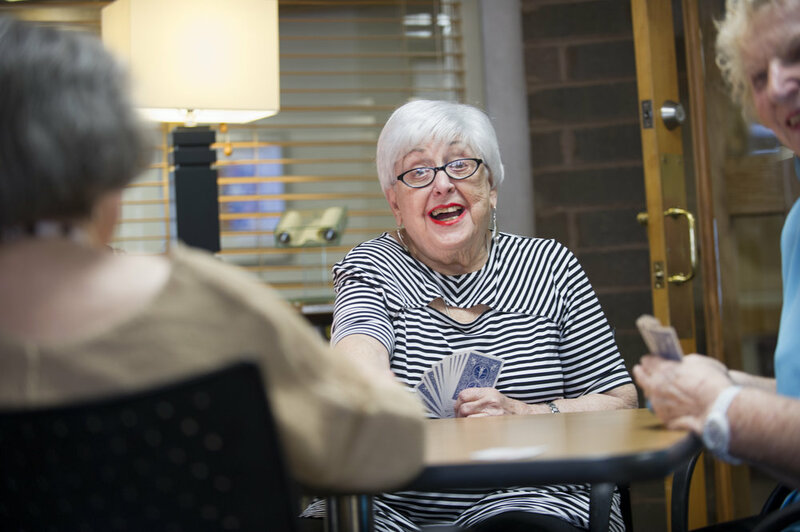 Information provided by older adult blog source, Kendal At Home, cites Dr. Andrew Budson, a cognitive behavioral neurologist, who says participating in card or board games provides an excellent form of social interaction, a vital key to emotional health. Participating in games also keeps your brain healthy. Word games partnered with chair yoga and stretching exercises create overall feelings of wellbeing. These activities keep your brain engaged, according to scientists. Researchers studied the effects of using the computer, playing games like chess or bridge, crafting, assembling puzzles, and going to the movies and socializing on brain health. They found that all the activities, provide a protective effect against mild cognitive impairment. Although not a substitute for social interaction, researchers found casual participation in video games had positive effects on mood, reducing feelings of depression and anxiety. In addition to such solo activities, residents at JSL participate in group activities such as Wii Fit bowling, which allows players to participate in simulated real-life activities in a less physically taxing modality but with all of the friendly competition and fun. This type of play is equivalent to light aerobic exercise. Jewish Senior Life is far more than a place to live. It’s 6 beautiful residences in 2 vibrant communities in Oak Park and West Bloomfield, Michigan where bonds of friendship are built or renewed, and passions are pursued. It’s where residents actively engage with one another and, as a result, remain active in mind, body and spirit. And it’s where creative programs and services extend spiritual, social and cultural values of the Jewish tradition to residents, families and community members. JSL is a place where older adults can embrace life and community in a secure and supportive environment.